If you’re searching for the best dog names inspired by books, you’ll love our top 20 picks! When it comes to choosing a name for your new dog, there are a lot of things that people can take inspiration from, such as popular songs. However, I love to read books, so it only makes sense that I would look towards great pieces of literature and mythology for a dog name. If you are like me and you love to delve in an addictive novel, why not choose your favorite character’s name for your dog? I’ve put together my list of 20 dogs names that have been inspired by books, in the hopes that you will be inspired as well! Greek mythology has always been special to me, so I had to include Athena on this list. She is the goddess of wisdom, who has a feminine name that sounds courageous. I couldn’t make this list without adding a character from Shakespeare’s play Romeo & Juliet . The tragic tale features two starstruck lovers, with both of them being a good choice to name your dog after. Another Greek goddess, but this time it is Nyx, who is the goddess of the night. This would be the perfect name to choose for your dog if they have a shiny black coat. Prim is short for Primrose, who is one of the characters in the popular series The Hunger Games . You could choose to have the long or short version of the name, but I prefer the latter. If you have ever read or seen the movie Gone with the Wind , you will recognize the name as being the leading female character. Scarlett is the perfect name for a dog with russet fur and is very feminine. Possibly one of the most iconic dogs in book and film history, Lassie is a good choice for a dog. She is the collie in Lassie Come Home and will remind most people of their childhood, offering sentimental value to the name. One of the more unusual names on this list, Echo comes from Greek mythology as well. She was a nymph who could only repeat back the words of others. Switching to Roman mythology, Luna is known as the goddess of the moon. Harry Potter fans also recognize the name as a loony yet lovable character! I love this name and it is something I would choose for a white-haired dog. The final name I will choose for a female dog is Beatrix, which can be shorted to Bea or Trix. The inspiration for this came from the children’s author: Beatrix Potter . Dog’s have always been man’s best friend, so why not name your dog after the faithful Argos from The Odyssey ? Ghost is one of the direwolf puppies from Game of Thrones, owned by Jon Snow. This would be the perfect name for a husky. Most children grow up reading or watching Harry Potter , and Fang is the large dog that belongs to Hagrid. Achilles is part of Greek mythology as the hero of the Trojan War. 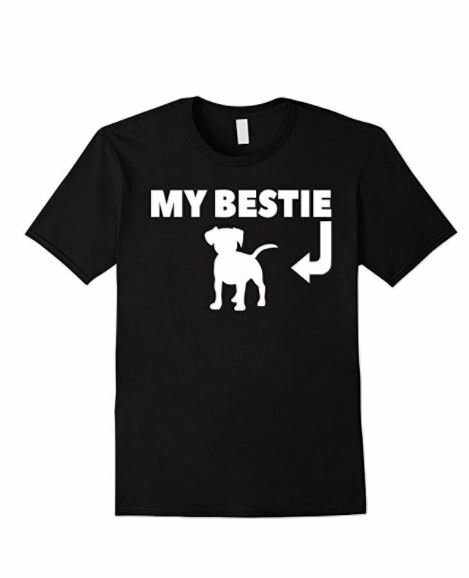 This is a strong and powerful name, perfect for any large breed of dog. More recently, Thor has become one of the characters from the Marvel movies, but in mythology, he is simply the Norse god of thunder. This list wouldn’t be complete without Marley. Marley made us laugh and cry as the adorable yellow Labrador in Marley & Me . If you were a fan of the literary fiction To Kill A Mockingbird , then using Atticus as the name for your job is a great idea. The old-fashioned name is unique and will make them stand out. 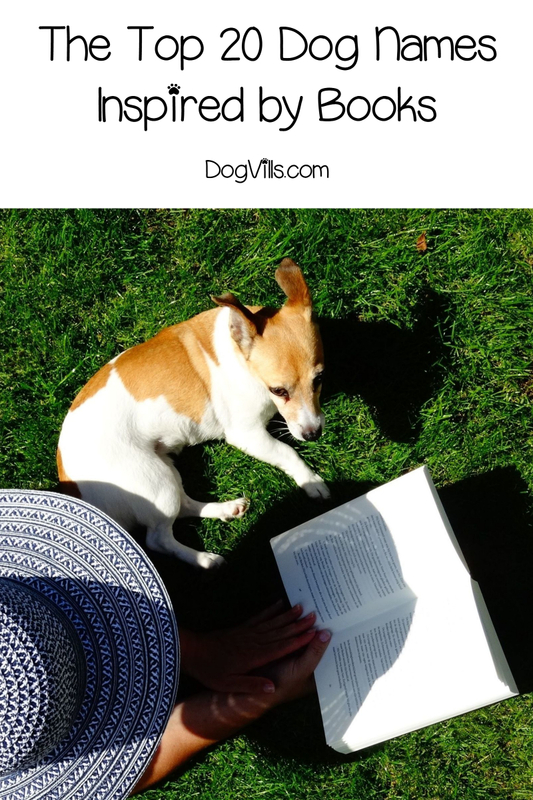 Taking inspiration from The Great Gatsby , written by F. Scott Fitzgerald, this is the perfect name for your puppy and shows you can read the classics as well. Zeus is the ruler of Mount Olympus, overseeing all the other gods and goddess in Greek mythology. This name would suit the dog that likes to think they are the alpha of the pack. Finally, we have the most famous detective of all time, Sherlock Holmes . Again, this is another unique and classic name for you to choose, which suits the dog that likes to sniff everything. And there you have it! All my favorite names inspired by literature and mythology. Of course, there are so many to choose from, but these are the best in my opinion. Do you have any favorite dog names inspired by books? Share below!